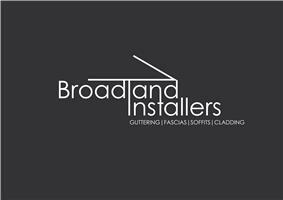 Broadland Installers - Fascia/Soffits/Guttering, Roofer, Windows/Doors/Conservatories based in Rackheath, Norfolk. Broadland Installers are a specialist Fascia, Soffit, Gutter, down pipe and Cladding Replacement Installation Company for both the commercial and domestic markets. All our roofline products carry a 25 to 50-year guarantee. We have been trading in excess of 12 years and both proprietors have over 30 years extensive experience in this industry. We carry the requisite accreditations to successfully operate in our chosen field of expertise and all of our installers are fully trained and vetted prior to their engagement. Due to the association with our works and products we also supply and install windows and doors and carry out roof works ranging from minor roof repairs to complete roof replacement.